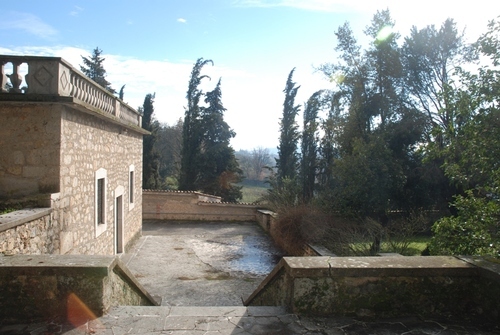 The Casamari Abbey is located in the town of Veroli (Via Maria 25), in the province of Frosinone. 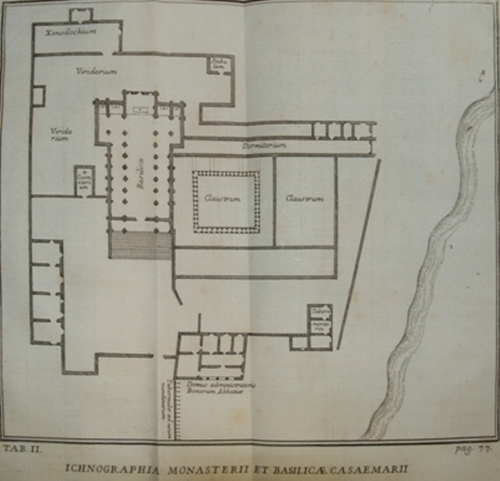 The Abbey was founded and built in 1036 by the Benedictine monks on the remains of the Roman settlement of Cereatae Marianae, “home” of the Consul Caio Mario.The Abbey was named Casamari after him. 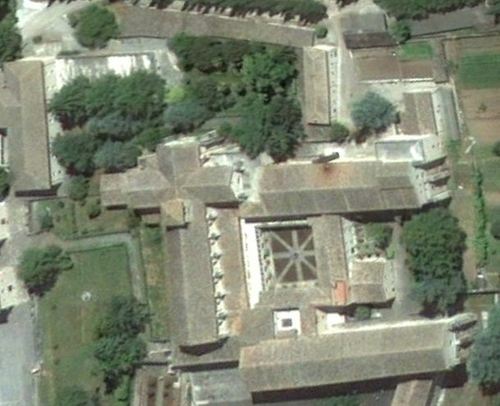 Between 1149 and 1151 the Cistercians monks substituted the Benedictines. 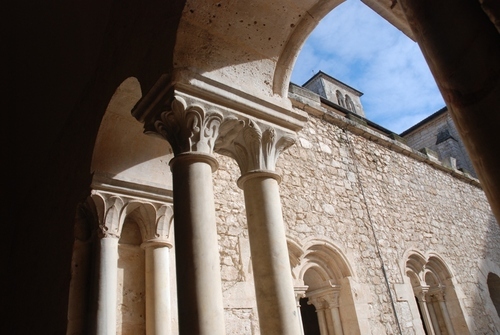 Since its foundation, Casamari was renowned for taking care of sick people, a practice particularly connected to the Rule of Saint Benedict. 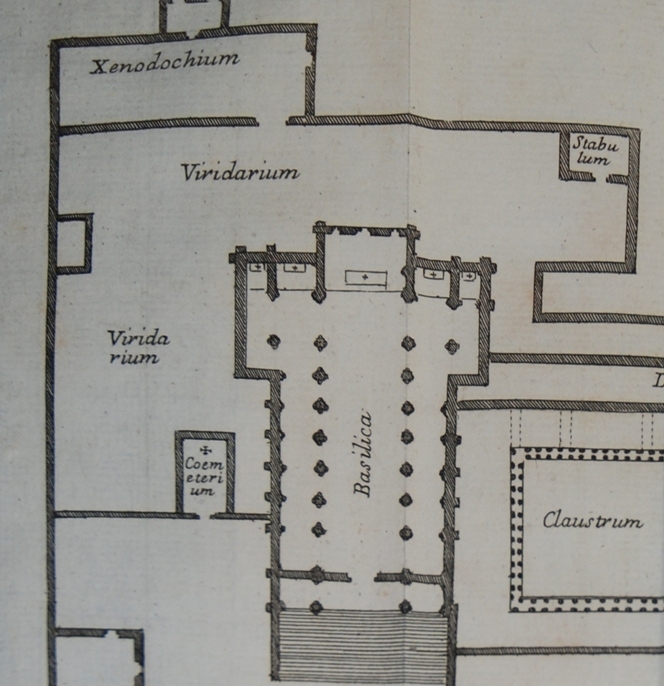 Documents dated 1220 (letter of Pope Onorio III) and 1227 (purchase of land to be destined to a hospital) show the existence of a "Valetudinarium" and "Xenodochium" today, completely destroyed during past devastations. 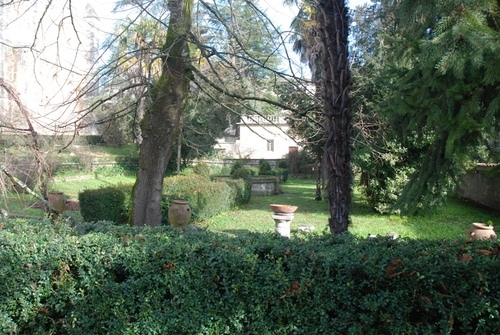 The existence of these two structures places the Abbey among those where monastic medicine was practiced. In the map of the Abbey, included in the work of Rondinini (see Bibliography), we can see the location of the Xenodochium and the Viridarium. This is the place where the Xenodochium (hospice for pilgrims) was situated, a building destined to receive the sick who were nursed by the “monaci infirmarii”. 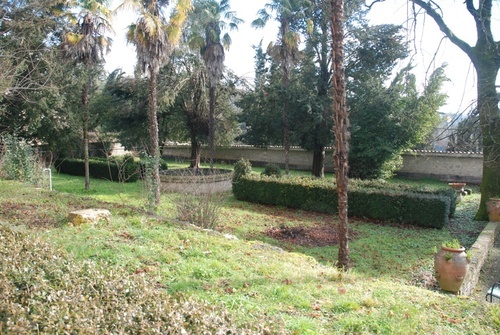 Behind the Basilica, a small herb garden (orto dei semplici) can still be seen today. It was built in the old Viridarium and gives evidence to the fact that the monks were devoted to the “ars medicandi,” the medicinal arts. 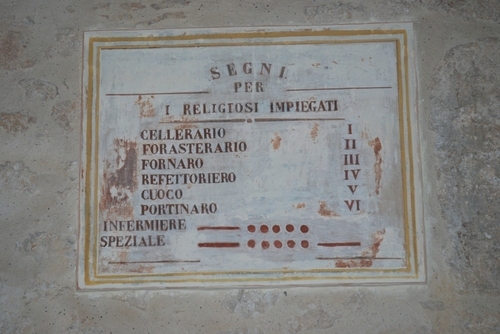 The Cloister of the Abbey illustrates a "Table of the Officials" which states the role of a nurse called “Infermiere” and of a pharmacists called “Speziale” ("spezie" meaning herbs). 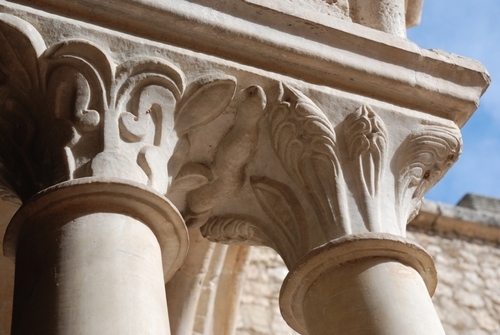 The double capitals in the monastery cloister portray the serpent of "Aesculapius", to testify the strong bond existing between the monks and the study of medicine. 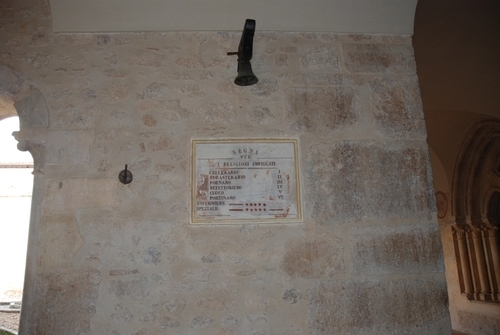 There's also an old Pharmacy that is still working and is located at the monastery's entrance. It is important to remember the figure of French hospital founder Joseph-Dominique d'Inguimbert who was, for a while, monk and cellarer of Casamari.